In celebration of 50 years of Jensen Parking Curbs, Jensen Precast introduces their new 4 inch high “Jubilee” parking curb designed for a market hungry for curbs that will accommodate low clearance vehicles. 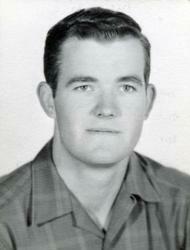 Don Jensen began making and sselling precast concrete parking curbs as a high school student in Reno, NV. In celebration of 50 years of parking curb manufacturing, we're calling our new low profile curb the Jubilee. The founder and CEO of Jensen Precast, Don Jensen, launched his career in the precast concrete industry in 1962 while attending Reno High School in Reno, Nevada. Don was participating in a business education program at school and needed a project. Even at the young age of 16 he was fascinated with the attributes of precast concrete. Because of this fascination he decided the perfect endeavor for him would be casting and selling concrete parking curbs, sometimes referred to as wheel stops or parking bumpers. He opened a checking account at the First National Bank of Nevada and wrote his first check to the State of Nevada for his Sales Tax Permit on April 6, 1962. “It’s hard to believe that Jensen parking curbs have been in steady production for 50 years,” said Don Jensen. “So in celebration of the 50th Anniversary, we’ve dubbed our new low profile curb the 'Jubilee.'" 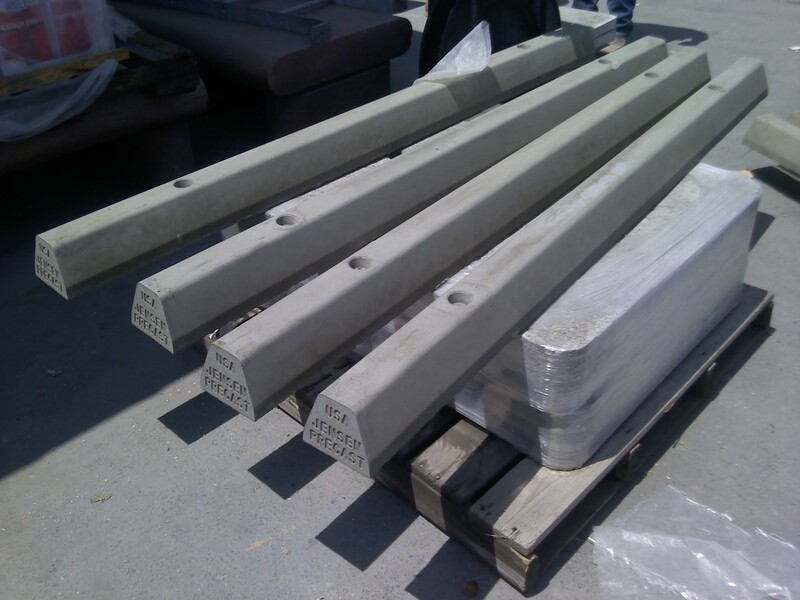 Typical precast concrete parking curbs range from 4 to 8 feet in length and 5 to 6.5 inches in height. Weights can range from approximately 125 to 350 lbs. Jubilee Parking Curbs are available in 3, 4, and 6 foot lengths. The weights are drastically lower than standard curbs making it feasible to ship them across the country. As a comparison, the standard 4 foot precast curb weighs in at approximately 124 pounds while the 4 foot Jubilee weighs only about 67 pounds. The 3 foot Jubilee curb weighs in the neighborhood of 50 pounds, and the 6 foot around 100 pounds. Jubilee parking curbs are ideal for use as replacement curbs in existing parking lots and structures, as well as those in new construction. Don established Jensen Precast in 1968 when he added septic tanks as his second product line. From those humble beginnings the company has grown to more than 1,500 products and eleven locations throughout the southwest United States and Hawaii. And, yes, Jensen Precast still manufactures parking curbs and septic tanks. From the first day in his parking curb business at age 16, Don Jensen has maintained a deep dedication to providing impeccable customer service and a passion for looking ahead to anticipate customer needs. These principles remain the hallmark values of the company. Jensen Precast, founded by Don Jensen in 1968, is one of the largest independently owned precast concrete manufacturing companies in the United States. With corporate headquarters in Sparks, NV, Jensen Precast has production facilities throughout Nevada, Arizona, California and Hawaii. Jensen Precast designs and manufactures standard and custom precast concrete products to meet small to large-scale infrastructure demands. 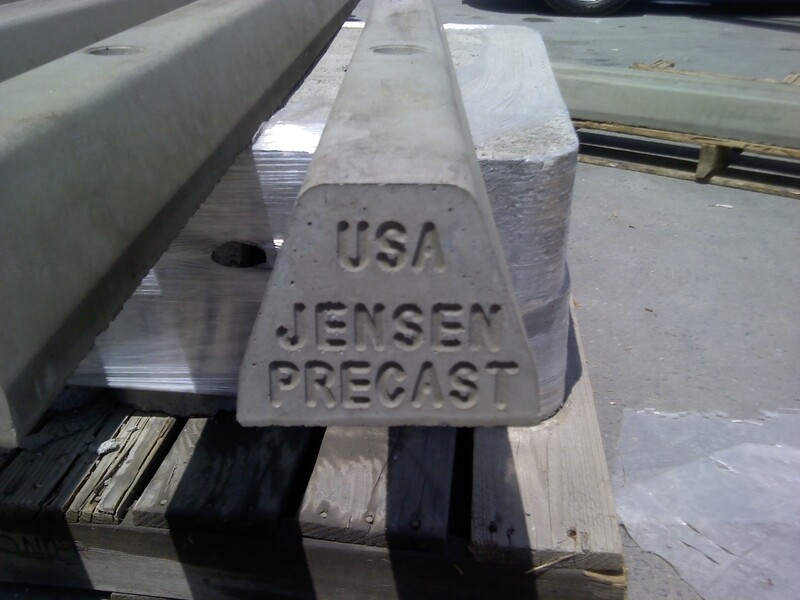 Jensen Precast products are proudly made in the USA and are used in highway construction, retaining walls, electric and gas utilities, telecommunications, stormwater capture and treatment, rainwater harvesting, on-site wastewater, sewage applications, above ground fuel storage, agriculture, landscaping, and more.